We finally made the cover of a major newspaper! Not because our science is so groundbreaking, but because we got sucked right into one of those twitter fads (as if we didn’t have enough work to do during the summer). Nevertheless, we did use MS Paint to sketch our study organism with our non-dominant hand, shared it on Twitter, and tagged it with #MSPaintYourScience. 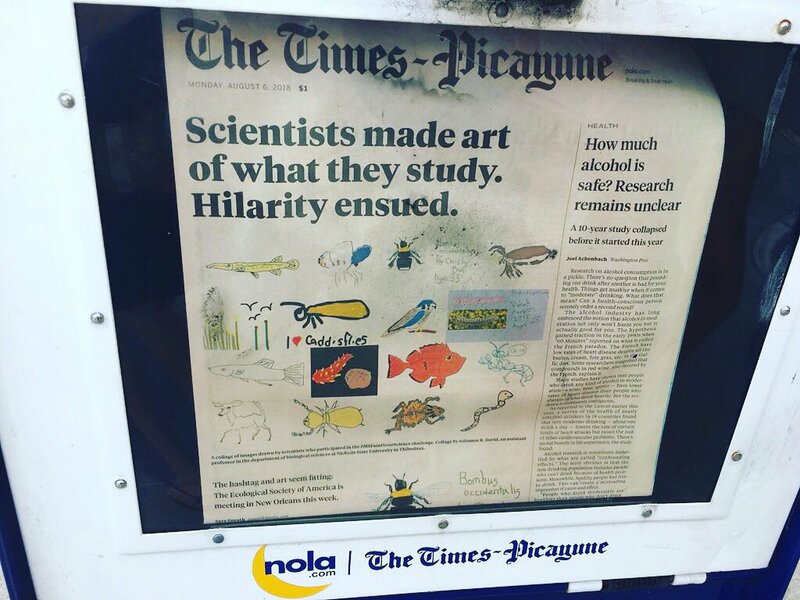 The Times-Picayune (in New Orleans, LA) found it to be cover material. Well… thank you!